Everyone wants the best for their families, and once the necessities are covered like security, a roof over your head and love, we start looking for more and more ways to make life better and more enjoyable for all. Vacations are just that – a chance to open up a world of new and wonderful experiences for you and your loved ones. Timeshare at Villa del Palmar is just one way of securing high quality vacations in the top destinations in Mexico. 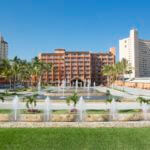 Take a look below at our recommendations for Puerto Vallarta timeshare at Villa del Palmar. Purchasing a Puerto Vallarta timeshare at Villa del Palmar means that the Puerto Vallarta resort is your home resort; in other words, you get to spend your vacations in one of Mexico’s most beautiful and easy to navigate beach locations in Mexico. However, your Puerto Vallarta timeshare at Villa del Palmar membership opens up the doors to other destinations within Mexico and international vacations (through Interval International). Firstly, you can enjoy accommodations in any of the Villa del Palmar resorts (according to your points availability) in Cancun, Riviera Nayarit, Cabo San Lucas and the Islands of Loreto, or you can take advantage of the services offered by Interval International, a company that deals with international exchanges for timeshare weeks. Puerto Vallarta timeshare at Villa del Palmar offers a distinctive experience. Not only do you enjoy the sense of owning your own second home, you also get to indulge in the services of fully functioning beachfront hotel that includes pools, restaurants, access to a spa, free resort activities and more. Puerto Vallarta timeshare at Villa del Palmar is particularly enjoyable because of its central location and the nature of Puerto Vallarta as a city. Puerto Vallarta is so easy to get around by taxi, rental car or even local bus, that you can really get the sense of living in Mexico (yet enjoy all the luxury of a hotel vacation). It is highly recommended that you explore Puerto Vallarta rather than stay only in the resort. Puerto Vallarta is easy, safe and full of friendly Mexicans and expats. 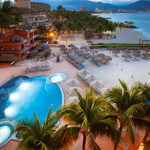 Share the post "Recommendations: Puerto Vallarta Timeshare at Villa del Palmar"